Brian Trenchard-Smith's Day of the Panther is a veritable time machine. The moment the opening title, complete with techno music and video graphics, flashed on the screen, I was transported back to the 1980s. Jason Blade (Edward John Stazak), a member of the martial arts organization “The Order of the Panther”, works as an undercover detective. Together with his partner, Linda (Linda Megier), Blade is gathering evidence to use against Australian-businessman and underworld kingpin, Damien Zukor (Michael Carman), a major distributor of illegal narcotics. But during a stake-out at one of Zukor's warehouses, Linda's cover is blown, and she's murdered by the mobster's right-hand man, a muscle-bound thug named Baxter (Jim Richards). Seeking revenge for his partner's death, Jason infiltrates Zukor’s gang and, together with Linda’s cousin Gemma (Paris Jefferson), concocts a plan to bring down his entire operation from the inside. 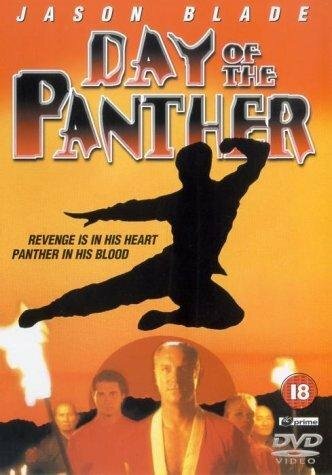 Day of the Panther is jam-packed with action, and while the martial arts showdowns fall a bit short of believability, they're definitely fun. Take, for example, the scene at the warehouse, where Linda's discovered lurking in the shadows by Zukor's men. Running for her life from a machete-wielding henchman in a mask (a pig's mask, no less), she ducks into a back room and hides, just in time to see two more masked goons join the chase (and these guys are talented. They can do backflips off the roof, drop three stories, and land perfectly on their feet). After the four of them have covered just about every square inch of that warehouse, Linda finally gets the better of her attackers with a few king-fu moves, only to find Baxter waiting for her when she gets outside. The entire sequence, which goes on for something like 10 minutes, was as over-the-top as you can get, and brought a big 'ole smile to my face. Sure, Day of the Panther is 100% cheese, but for someone like me, who grew up in the '80s, I gotta say it tasted pretty damn good.